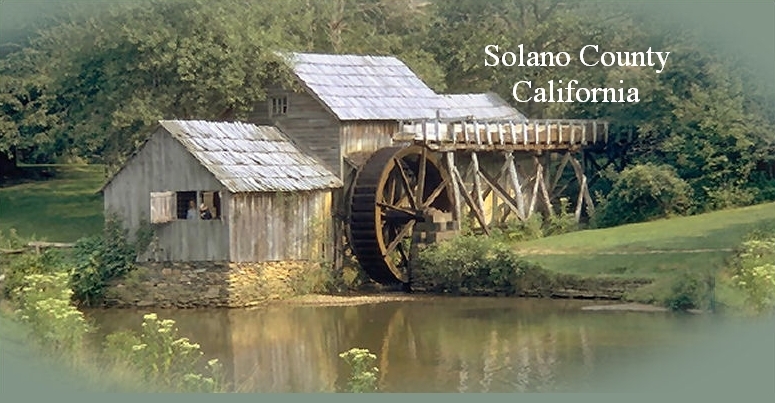 "Solano County is one of the original 27 counties in California. We are about to cross over into our 150th year. Much has happened here including events leading up to our becoming an official county in 1850. Don Jose Canizares, pilot of the Spanish naval ship which entered San Francisco Bay in 1775, was the person who first entered the area of present Solano County in that year. He reported to his commander Don Carlos de Ayala on his return to the ship. Gabriel Moraga led the first Spanish expedition across the Carquines Strait in 1810 in a punitive raid on the Suisun Indian tribe in present Solano County. The Suisun Indian who later was transformed into “Chief Solano”, was captured in Morago’s raid and baptized at Mission Dolores in 1823. In that year he was a 13 year old mission neophyte waiting to be transferred to the new mission with 600 other mission Indians. Vallejo took control of him in 1834 as comandante of the new pueblo project to replace the mission. The epithet Sem Yeto (not Sam Yeto), meaning “brave hand”, was applied to him under Vallejo’s auspices. In 1835 Vallejo crossed the Mare Island Straits in search of his horse which eventually resulted in giving the island its name. 1837-1838 was disastrous for the local Indians when smallpox virtually wiped them out. The Suisun Rancho grant to Francisco Solano was made provisionally in 1837, legally confirmed in 1842 and only given a further sanction at Vallejo’s request in 1845 to help secure his title. He had bought it from Solano in 1842. Armijo petitioned for the Rancho Tolenas Grant in 1839. The Vaca and Pena families arrived in Los Angeles in 1841 with the Workman-Rowland wagon-train. In 1842, the Vacas and the Penas settled in Solano county and petitioned for the Rancho Los Puto grant. They were eventually granted the Rancho Lihuaytos grant in 1843 which was found later to overlap the Wolfskill grant. Wolfskill petitioned for the Wolfskill, AKA, Rio De Los Putos Grant. The city of Vallejo saw a glimmer of its beginnings in 1844 when Ole Johnson and his bride allegedly (not verified) built a home in the area then called Eden, followed by the name Eureka and finally Vallejo. The remnants of the Donner Party were rescued in 1846. The Alfords', Berrys' and Barbours' settled in yet to be Solano County. Hastings built his adobe near Collinsville and the first step in California becoming a State was taken with the Bear Flag Revolt. Stiltz built a prefab home in Green Valley and Semple married Francis Cooper at the California Hotel. The town of Benicia was laid out by Robert Semple. The first ferry service across the Carquinez Straits was started in 1847 by Semple and Larkin. The first hint of the gold discovery was discussed at Benicia by Bennett in Von Pfister's store, May, 1848 and in 1849 the Benicia Barracks were established. The first steamship was built in Benicia in 1849. In 1849, the California Constitutional Convention was held, establishing 27 counties including Solano County with Benicia being chosen as the County Seat. The first ferry service from Benicia to Martinez was started in 1849. In the next 150 years Solano County grew, was often devastated and recovered from the many episodes that reflect life at its fullest. Much has been written about the history of our county and the following is just a sample of events that made Solano County what it is today. The list reflects both significant and insignificant incidents and is by no means meant to be a complete roster. First building built in the official town of Vallejo. Vacaville was deeded to McDaniel by the Vacas' and California became a State. Armijo's sons petition for his land grant. First Masonic Hall in California dedicated in Benicia. Pacific Mail Steamship Company established at Benicia. Don Manuel Vaca deeded nine square miles of Rancho Los Putos to William McDaniel who agreed to layout the site of Vacaville on one of the square miles. Josiah Wing built a warehouse in Suisun and laid out the city of Suisun. Vallejo became the seat of government and gained a Post Office and private school. Solano Hotel built in Benicia. Army begins setting up an ordnance supply depot at Benicia. Congress authorizes a floating dry-dock at Mare Island. Plat for Vacaville filed by L. B. Mizner and William McDaniel. Mare Island selected as a future site for a Navy Yard and bought for $83,401. Elijah Silvey built the Silveyville Hotel. John and Sarchel Wolfskill built log house. L. P. Marshall takes possession of Hasting's Adobe. City Hall building constructed at Benicia and later used as the third California State Capitol. Second California State Capitol locates in Vallejo. California State Capitol moved from Vallejo to Benicia. A Post Office is established at Cordelia. Mare Island Navy Yard is established. Town of Suisun laid out by Capt. Josiah Wing and John Owen. Bidwell's Los Ulpino Grant divided into 20 equal tracts and sold on the courthouse steps in Benicia. John Charles Pitman operates a hotel at Cordelia. Ulatis Academy started up in Vacaville by Professor Anderson. Grapes were planted in Green valley by Miller. Waterman lays out the city of Fairfield. C. J. Collins settles in area of future Collinsville, named for him. Alford's 3-year-old daughter is first burial in Rockville Cemetery. The first town of Rio Vista is established on the Bidwell Grant near Cache Slough (was named Brazos Del Rio). Archibald Ritchie received patent to Rancho Suisun. Stone ordnance magazine building erected at Benicia. Plat filed for the town of Fairfield on May 15. The county seat is moved from Benicia to Fairfield. Grapes were planted on the Votypka Ranch in Green Valley. Survey and corrected boundaries of the Wolfskill and Rancho Lihuaytos Ranchos were made. Capt. Josiah Wing builds home in Suisun. Colonel N. H. Davis builds wharf at junction of Cache Slough and the Sacramento River (site of 1st Rio Vista). 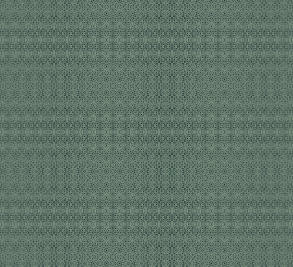 Fairfield Plat filed by Waterman. Collinsville and Maine Prairie plats are established. The Dingley Mill is built as well as the Nathan Barbour stone house. The Saginaw, is built at Mare Island, first warship produced on the west coast. The first Pony Express rider, William Hamilton, makes stop at Benicia on April 23. Bear-Flagger, Granville Swift begins building home in Green Valley. Josiah Allison plants Sally Fox's black walnut that later becomes the site of the famous Nut Tree Restaurant at Vacaville. The Martin house is built. Pacific Methodist College started up in Vacaville. Post Office established at town of Maine Prairie; Capt. Merithew named Postmaster. Brazos Del Rio renamed Rio Vista, Jan. 9. The Great Flood inundates the Sacramento Basin. Rio Vista moved to new site and renamed New Rio Vista. Catholic Church built in Rio Vista. S. C. Bradshaw files map of City of Collinsville; (2,390 acres). Bradshaw buys "City of Collinsville" and renames it Newport. Flood sweeps away town of Maine Prairie. Maine Prairie Rifles military company organized at site now known as Binghampton. Binghampton gains a Post Office. J. M. Baldwin builds stone barn at Rockville out of stone from local quarry. Abernathie builds stone house near Rockville. Town of Vallejo become terminus of the California Pacific Railroad. John Bird purchased 1,000 acres near Denverton and starts a storage and commission business. Bidwell receives the patent to the Los Ulpinos Grant. Vaca Station (Elmira) is established. Episcopalian College of St. Augustine established at Benicia. The Napa-Vallejo Railroad is completed. Jose Armijo's son, Antonio receives patent to the Rancho Tolenas grant. California Pacific RR routed through Cordelia. Cordelia moves to new site. Granville Swift deeds home and property to his sister, Mary Swift Jones, 11/14/1868 and her husband, Frederick, completes building the home. Suisun incorporated as city. Silveyville moved to new site five miles to the east, later named Dixon after pioneer Thomas Dickson who donated ten acres for the site. The overland railroad through Solano County is completed. Newport sold at Sheriff's sale and town is again renamed Collinsville. Good Templars of California and Nevada builds orphanage at Vallejo. Vaca Valley and Clear Lake Railroad spur built from Clear Lake to Vaca Station (Elmira). Carquinez Packing Company founded by George W. Hume in Benicia. St. Mary of the Pacific school for women established in Benicia by the Episcopalians. First Protestant Church, built in Benicia in 1849 is abandoned. Pacific Methodist College at Vacaville moves to Santa Rosa. California College started at Vacaville. City of Dixon Fire Company organized. Neptune Hose Company formed in Vallejo. Emory Upham purchases Collinsville and much of the acreage north of town. F. E. Booth & Co. erects salmon cannery at Collinsville. Frederick S. Jones buys 137.5 acres of property adjacent to original Granville Swift home to correct improperly surveyed deed. Attempt to move the county seat to Vallejo from Fairfield fails. Vallejo Phoenix Engine Company formed. Dr. Nurse constructs a telegraph line from Denverton to Suisun. Dr. Nurse's telegraph line merges into the Montezuma Telegraph Company with Dr. Nurse as President. Dinkelspiel Store at Bird's Landing built and post office established. Thomasson Basalt Paving Stones Quarry opens in Cordelia. Two major fires destroy much of Vacaville. Joseph Bruning erects Saint Gertrude's Academy and places it under the direction of the Sisters of Mercy. Train ferry Solano begins run from Benicia to Port Costa. Fire nearly destroys Dixon. Mrs. Elise Buckingham purchases 400 acres in Lagoon Valley. Wineries established in Green Valley and Cordelia. Pacific Mail Steamship Company at Benicia taken over by the Benicia Agricultural Works. Mathew Turner Shipyard opened in Benicia. Major fire in Dixon. First public school graduation in Vacaville. Telephone line established in Vacaville by Mr. Miller. California College at Bacaville opened. California Fruit Union founded by Buck and Hatch. Baseball Clubs formed in Solano County. Communism and Socialism trigger alarm in Solano County farming communities. Large scale fruit drying yard begins in Vacaville. Buck Western Addition homesites developed by Frank H. Buck. Fire destroys much of the Chinese district in Vacaville. Second fire destroyed most of Vacaville business district. The first Mason's Hall in California built at Benicia in 1850 is sold for community use. Suisun's Roberts Hotel replaced by the Arlington Hotel. Benicia's Episcopalian College of St. Augustine closes. First Dixon water works built. Volunteer Vacaville Hose Company organized. Fire in Elmira destroys homes. Armijo High School established in Fairfield. First Fire House built in Dixon. Vacaville Water and Light Company established. Vaca Adobe damaged by earthquake and is razed and replaced by a frame structure owned by Portia Hill. John Wolfskill's stone home destroyed in earthquake. Much of Vacaville's downtown and Winters destroyed by earthquake. Rio Vista business district destroyed by fire. Hartford Hose Company No. 2 and Sheridan Hose Company No. 3 established at Vallejo. Town of Vacaville votes for incorporation. John Wolfskill builds 17 room home. Starr Flour Mills go bankrupt. Building codes established in Vacaville. Vacaville Union High School District formed. Solano County wins the gold cup at the Mid-Winter Fair in San Francisco. Steamer line between Vallejo and San Francisco established by the Hatch brothers. Private Volunteer Hose Company formed in Vacaville. 12 businesses and 50 Chinese dwellings go up in flames at Vacaville. Alert Truck and Hose Company formed in Vallejo. Second hose company formed in Vacaville. Benicia's Washington House, built in the 1850s is remodeled into a first class hotel and restaurant. Emery Upham dies and his Collinsville estate is broken up and sold. Mare Island damaged by earthquake. Fire Hose Company No. 1 formed in Fairfield. Vacaville High School completed by George Sharpe. New City Charter established in Vallejo. The last remains of walls of the five-room Armijo adobe, about 5 miles northwest of Fairfield, collapse. Police force established in Vallejo. Train wreck at Vanden Station kills several people. U. S. Navy's oldest chapel is dedicated at Mare Island. Fairfield Water Works, established in 1866, burns. First streets in Vallejo paved. Sewer Bond measure defeated in Vacaville. Town, Mill and quarry established at Cement Hill. Water works built in Rio Vista. Vacaville connects to Bay Counties Power Company at Elmira. Dixon Electric Power and Water Company established. Fairfield incorporated. St. Joseph's Academy for boys established in Rio Vista. Fruit from Vacaville shipped to England. Two hose companies established in Vacaville. Anti-gambling ordnance passed in Vacaville. Sewer Bond measure fails second time in Vacaville. Voting machines make their debut in Solano County. First automobile seen in Vallejo, a 1904 Maxwell, bought by physician Rachel Lain. Saloon owners voluntarily close doors on Sunday in Vacaville. Benicia damaged by the San Francisco earthquake. Vallejo receives 30,000 refugees from S. F. Harbison House built at Nut Tree, Vacaville. Six stores in Vacaville control more than 90% of the Vacaville farm supply business. First electric lights in Rio Vista. Major flooding halts railroad travel and shipping at Vacaville. New town hall dedicated in Vacaville. Suisun purchases a horse-drawn fire engine with a motorized pumper. S. O. Stratton family takes possession of Hasting's Adobe. Benicia Barracks placed under control of the Benicia Arsenal. Mare Island converts Navy coal burner ship, Cheyenne, to oil. Fire rages on Blue Ridge mountains near Vacaville for two weeks. Chemical fire extinguishers purchased and distributed around Vacaville. Hotel Raleigh in Vacaville destroyed by fire. Major fire in Fairfield burns ten buildings. New school built on old Ualtis School site in Vacaville. Solano-Yolo Land and Water Company proposes dam and irrigation system for Vacaville. Fairfield's first fire engine, a Watrous pumper, arrives. Vacaville's Raleigh Hotel burns down. Mare Island builds the first flight deck on any ship in the world, on the cruiser Pennsylvania. Mare Island builds the first hull of an aircraft carrier, the Langley. Japanese Buddhist Temple completed in Vacaville. Slot machines prohibited in Vacaville. First State Highway construction begins through Solano County. Clock Tower and upper floor at Benicia Arsenal burns; many records lost. California legislature passes Alien Land Law which prohibits foreign-born Japanese from owning land or leasing it for more than three years. Northern Electric Railroad opens; provides service between Vacaville and Suisun. Mrs. Maria Inez Pena, resident of Solano County since 1849 dies. First State Highway through Solano County completes; bypasses Suisun. Main Street in Vacaville paved. WW-I begins. Fire burns Vallejo Brewing Company during freak snow storm. St. Mary's Hall destroyed by fire in Suisun. Union Hotel burns in Suisun. Vacaville and Benicia purchase first motorized pumper fire engines. Pacific Mail Steamship Company burns in Benicia. Naval Training School established at Mare Island. Fire destroys parts of Rio Vista. Fairfield Firemen's Club build clubhouse. Descendents of Manual Vaca move from the original Pena Adobe. World-wide influenza epidemic reaches Solano County. USS California launched at Mare island, causes mishap when cable snaps and the ship crosses to the Vallejo side. Frank Buck Company completes first packing house. Minimum wage for women in fruit business set at $16 per week. Mrs. J. E. Wright, first woman juror in Solano County Court sits at a trial. Benicia purchases a Phoenix hand pumper and Seagraves fire truck. Capitol Hotel burns in Dixon. Cordelia establishes a private fire department. Nut Tree fruit stand opened by Helen Power. Huge grass fire 25 miles long from Batavia to Rio Vista. PG&E builds Vaca-Dixon Power Substation; world's largest at time. California Fruit Growers' and Shippers Protective League formed; Frank Buck president. Casa Maria Restaurant opened by Nestora and Anita Lyon. No. 1 Magazine at Benicia Arsenal blows up. Bank of Vacaville taken over by Bank of Italy. Major grass fire 30 mile long and 15 mile wide from Mix Canyon to Fairfield Cemetery, past Rockville to Napa "Y." Work begins on the Carquinez bridge. Chris Benjaminsen acquires the Dinkelspiel Store at Bird's Landing. Hoof and mouth disease invades Solano, Contra-Costa, Napa and Alameda counties. Fire destroys the Peach Growers Association's packing plant at Fairfield. Last buildings in Maine Prairie burn. St. Mary's Catholic Church in Vacaville burns. Regular air-mail service inaugurated between New York, San Francisco and Solano County. Plans for Monticello Dam begin to form. Clark Theater built in Vacaville. Dixon and Rio Vista Fire Districts organized. Fire house built in Rio Vista. Benicia's McKay Tannery destroyed by fire. Pacific Portland Cement Plant shuts down. Vacaville Fruit Growers Assoc. builds packing house on Davis Street in Vacaville. Vacaville Board of Trustees becomes a City Council. Saint Gertrude's Academy in Rio Vista closes. Suisun purchases first motor drive fire engine, an American LaFrance. Suisun's Chinatown destroyed by fire. Klotz School of Aviation opens in Vacaville. Methodist Episcopal Church deeds the Rockville Church to Rockville Cemetery District. St. John mine reopens causing decline of Blue Rock Springs. New fire house built in Dixon. Armijo High School destroyed by fire. Vacaville buys Seagraves fire engine. Elmira Fire Department acquires first fire truck. Portland Cement Company Plant closes completely and moves to Redwood City. Construction of new gym for Vacaville High School begins. Government standards cause many fruit growers to begin quitting the business; abandonment and decay of area's orchards is result. Buckskin disease decimates cherry orchards. Japanese Language School built in Vacaville. Natural Gas plant opens in Solano County. Buck Fruit Packing Shed destroyed by fire. Frank McKevitt and Pioneer Fruit Company sold to American Fruit Growers. Agricultural Workers Industrial Union and Pruners' riot in Vacaville. Major fire burns entire city block in Benicia. Cordelia Fire Department joins county's Cordelia Fire Protection District. Vacaville "riots" break out when 300 Spanish prune workers strike. Buck Company acquired by Pacific Fruit Exchange. Frank Buck elected to U. S. Senate. Hume brothers acquire Uhl's 25 ton prune dehydrator. Statue of Chief Solano dedicated. Peach shipping industry closes down. Rep. Frank H. Buck re-elected. CCC active in the Peaceful Glen area north of Vacaville. First spraying by air of orchards begin in the Vacaville area. Ann Tillman opens hospital on Elizabeth Street in Vacaville. Suisun Fire Protection District forms. Amerada Petroleum Company established near Rio Vista. Historic Cordelia Hotel burns down. Mrs. Francis Wolfskill bequeaths 100 acres to the University of Davis. Natural gas lines established from Montezuma Hills to Bay area. New Vacaville Post Office opens. Statue of Chief Solano removed to another location in Fairfield to prevent vandalism. Benicia Canning Company and Benicia Fisheries Companies destroyed by fire. Basic Vegetable Products moves to Vacaville. First zoning ordinances in Vacaville. Fire destroys Masonic Temple and most businesses in Cordelia. Vacaville flooded. Solano County Water Council formed. Vacaville Fire department moves to Main Street. Edwin Markham dies in New York. Juvenile delinquency on rise in Solano County. WW-II begins. Japanese Buddhist temple in Vacaville shot at after attack on Pearl Harbor. Mare Island put on full time building navy ships. 1,500 acres burn in English Hills area. Vacaville purchases second motorized pumper. Air observation post built by Future Farmers in Vacaville. Internment of Japanese begins. Bracero program begins in Solano County. Patsy Brown becomes Constable for Vallejo Township. Fairfield-Suisun Army Air Field established. First WACs arrive at air field. Georgia Crowley appointed Justice of the Peace in Suisun township. Second fire house built in Dixon. Rio Vista buys an ambulance. 2nd Lt. Michael Libonati, Jr. is first Vacan killed in WW-II. Cigarette drive for GI's by American Legion in Vacaville begins. Port Chicago ammunition depot blows up. Blast felt throughout county. Extensive damage in Benicia and Vallejo and windows blown out in Vacaville. First black troops arrive at Fairfield Suisun Air Field. Penicillin made available in Solano County. One of California's first hotels, built at Benicia in 1847 for Major Stephen Cooper, and later known as the California House is destroyed by fire. The Solano Hotel, built in 1851 on the NW corner of First and E streets is destroyed by fire. Rockville's Abernathie stone house gutted by fire and razed. Vacaville Fire Protection District forms. Resuscitator purchased by Vacaville Fire Department. New truck added to Elmira Fire District. Gordon Valley Fire Department organizes. Suisun Fire District moves equipment to Fairfield. California Dept. of Corrections recommends Vacaville for prison site. Dial telephones make their debut in Vacaville. John Reed Wolfskill's 17 room home burns to the ground. Solano Irrigation District (SID) forms. Wetmore Cannery in Benicia destroyed by fire. Vacaville's first TV set installed at Brook's Place. Vacaville gets house to house mail delivery. Mrs. Maria Delores Vaca Lyon dies. Benicia's original City Hall, later the third State Capitol building is deeded to the state. Parking meters installed in Vacaville. Mason's reacquire the California's first Mason's hall built in 1850 at Benicia. Brig. Gen. Robert F. Travis killed in B-29 accident at Fairfield-Suisun Army Air Field; base renamed Travis Air Force Base later in the year. Armory building at Binghampton razed for the bricks. Japanese Buddhist Temple at Vacaville destroyed by fire. Highway 40 expanded to four lanes from Carquinez Bridge to Sacramento. Original Nut Tree dies and is cut down. Grizzly Island Wildlife Area established. First fire trails cut in the Blue Ridge mountains west of Vacaville. New Vacaville High School is completed. Construction of the Monticello Dam begins. Vacaville's old Vacaville High School gym destroyed by fire. Another fire truck added to Elmira Fire District. 5,000 acres burn from California Medical Facility to Travis Air Force Base. Suisun's Mayfield Hotel destroyed by fire. Record flooding hit Northern California. Vacaville acquires 750 GPM VanPelt pumper. Great-great-grandson of Juan Felipe Pena, Salvador John Pena dies at the age of 79. Vacaville Medical Facility Prison opens. Nut Tree air strip opens. Major flooding in Solano and other counties. Warren Hughes hired as first full-time paid fire chief in Vacaville. Volunteers begin building fire station on Dobbins Street in Vacaville. Benicia's original City Hall, later the third State Capitol building restoration completes. Vacaville Fire Station on Dobbins Street dedicated. Air tankers used to fight fire on Mt. Vaca. Monticello Dam opens, Lake Berryessa formed. Sarchel Wolfskill's two story home destroyed by fire. Suisun's Arlington Hotel destroyed by fire. Fears of atomic bombing rise. "Operation Chico" a Civil Defense exercise moves 1,000 people from Solano County to Chico for the weekend. SID starts construction of Monticello Dam and Putah creek water distribution system. Arlington Hotel, built in 1888 is razed. First full-time fire fighter hired in Vacaville. The Round House burns in Suisun. Monticello Dam water flows to Solano County fields. Vacaville School Board rejects polio vaccine immunization. Junior Fire Department forms in Vacaville. Fairfield's new fire truck obtained. Psychedelic sixties erupt in Solano County, drug use on the rise. Average price of regular gas in Solano County is 27 cents. Army begins deactivation of Benicia Arsenal. "Black Saturday," about 95 fires are reported. Fires rage from Winters to Benicia. Radio Control Center established in Fairfield serving all fire departments with exception of Vallejo. Vallejo obtains the first all-metal fallout shelter, designed by Office of Civil Defense. As an experiment, a Vallejo family spends 60 hours in a fallout shelter. Ulatis Creek Flood Control project starts in Vacaville. Highway bridge across Carquinez Straits completed. Ferry service ends after 115 years of operation. New canal system, the Solano Project, begins delivering water into Vaca Valley. Restoration of Pena Adobe begins. Only six homes remain in Collinsville. Winters Cannery destroyed by fire at Benicia. Army completes deactivation of Benicia Arsenal. Illegal booze still discovered in Vacaville. Several fires in Green Valley. Parking meters removed from Vacaville. "Black Thursday," Fire rages north of Vacaville, many homes and buildings lost as well as cattle, sheep and horses. Major fires started in Napa County reach as far as Green Valley. Fire Station Number two opens in Vacaville. American Home Foods opens at Vacaville. First permanent traffic light installed in Vacaville. Fairfield Central Fire Station dedicated. Vallejo Junior College (later Solano Community College) begins classes. Post office at Bird's Landing moved from the Dinkelspiel/Benjamin store to a small shed next to it; classified as one of the smallest post offices in U. S.
S. O. Stratton family moves out of Hasting's Adobe. The 1929 Seagraves fire truck is retired by Vacaville Fire Department. Vacaville's civic center opens on Merchant Street. Man lands on the moon. California Packing Plant in Vacaville destroyed by fire. Vacaville Public Library moves to Merchant Street. Country High School opens in Elmira. Solano County takes title to Nut Tree Airport. Mini-skirts become the fashionable wear. Volunteers of the Vacaville Heritage Council restore old Vacaville Town Hall. Vacaville's Fire Chief Warren Hughes retires. EMT training begins for firemen. Public schools are in the red for the first time. Race Riot at Travis Air Force Base. Suisun hires first full-time paid fire-fighter. Annexation of Brown's Valley to Vacaville approved. Lagoon Valley acquired for Regional Park. Anheuser Busch decides to build in Fairfield. Vacaville Community Center and pool opens. "Odd-Even" gas rationing began in Solano County. Telephone company experiences difficulty in keeping pace with growth. Drought begins in Solano County. Vaca Valley Industrial Park opens. Strike at American Home Foods. Historic "Uhl" home, built in Vacaville in 1869 by Dobbins, torn down. Badly vandalized bust of President John F. Kennedy removed from Vacaville's Andrews Park in Vacaville. "911" emergency phone system established in Solano County. Vacaville approves property tax for paramedic program. Fairfield purchases its first rescue unit. Suisun Marsh Protection Act passes State Legislature. Year-round schools measure defeated at ballot box. California State Office of Emergency Services assigns the OES pumper to Rio Vista. City of Vacaville Fire Department and Rural Fire Districts formally split. Padan and Will C, Wood schools damaged by fire. Vacaville purchases second ladder truck. Howard Wood becomes first full-time paid Fire Chief of the Rural Fire District at Vacaville. Atlas Peak Fire in Napa County threatens Solano County. Louis Villareal becomes the youngest Solano County Municipal Court Judge in the local court system. Major storms and extensive flooding slams into Solano County. Extensive damage from fire started by fireworks north of Vacaville. Vacaville Reporter newspaper celebrates its 100th anniversary. Farmers in Collinsville/Birds Landing fight industrialization of area. Cities battle over amount of garbage to be imported from San Francisco to Solano County. AIDS epidemic frightens residents of Solano County. Basic Products Inc. decide to close doors in Vacaville. Humphrey the whale visits Rio Vista. Proposed town of Manzanita defeated. Rio Vista sustains major damage during flooding of Sacramento River. Travis Air Force Base opens Air Museum. No smoking ordinances passed in Solano County. Miller Canyon/Mount Vaca fire. Shell Oil spill in Suisun Bay. Suisun Marsh purchased as permanent preserve. Vacaville Hispanic Chamber of Commerce organized. Toxic waste cache discovered at Collinsville. Major earthquake rumbles through Bay area and Solano County. Enhance 911 service lines installed in Solano County. Vacaville Fire Protection District upgrades equipment. Water conservation measure introduced as drought that started in 1987 continues. Solano County sends fire fighting units to fight major Oakland hills fires. MAC and SAC at Travis AFB combine into Air Mobility Command. Private water system proposed in English Hills near Vacaville. Decision made to close Mare Island Naval Shipyard. Solano County businesses rush aid to LA quake victims. Solano County orderly growth committees form. 14 people killed in auto crashes on Highway 12 during the year. Solano County Economic Opportunity Council collapses. Accident prone Highway 37 speed limit reduced to 40 mph. Bicycle helmet laws cause controversy. Heavy rains cause flooding in Solano County. BART strike causes traffic gridlock in Solano County. Solano County braces for El Nino. Travis AFB celebrates 50th anniversary with air expo. Landslide in Rancho Solano triggers lawsuits. Agricultural buffer zone created between Dixon and Vacaville. Worries about possible problem related to Y2K abound. Your guess is as good as mine. Happy New Millennium, or is it still a year away?